This file implements the lowering of LLVM calls to machine code calls for GlobalISel. This file contains a pass that transforms CBZ/CBNZ/TBZ/TBNZ instructions into a conditional branch (B.cond), when the NZCV flags can be set for "free". 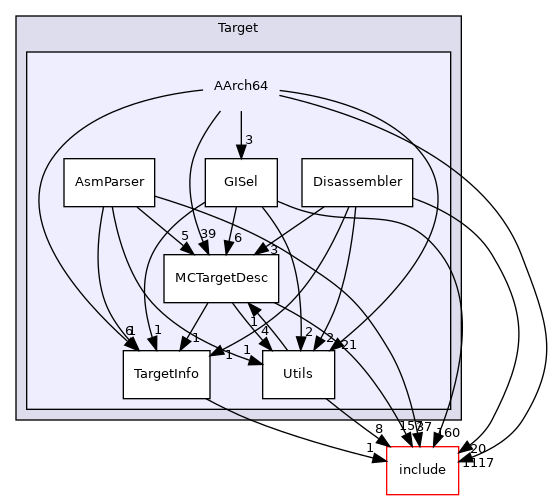 This file implements the targeting of the InstructionSelector class for AArch64. This file implements the targeting of the Machinelegalizer class for AArch64. This file implements the targeting of the RegisterBankInfo class for AArch64. This file a TargetTransformInfo::Concept conforming object specific to the AArch64 target machine.